The BGV botanist nurtures and designs succulent arrangements, terrariums and mini landscapes to give you a tiny piece of green heaven. There's nothing like a good succulent that can calm you down just by looking at it. The BGV (short for bougainvillea) botanist knows that all too well! Ritu, the woman behind the idea started off with floral arrangements and realised that plants and succulents are more versatile and last longer than your regular floral bouquet (and sometimes looks nicer too!). 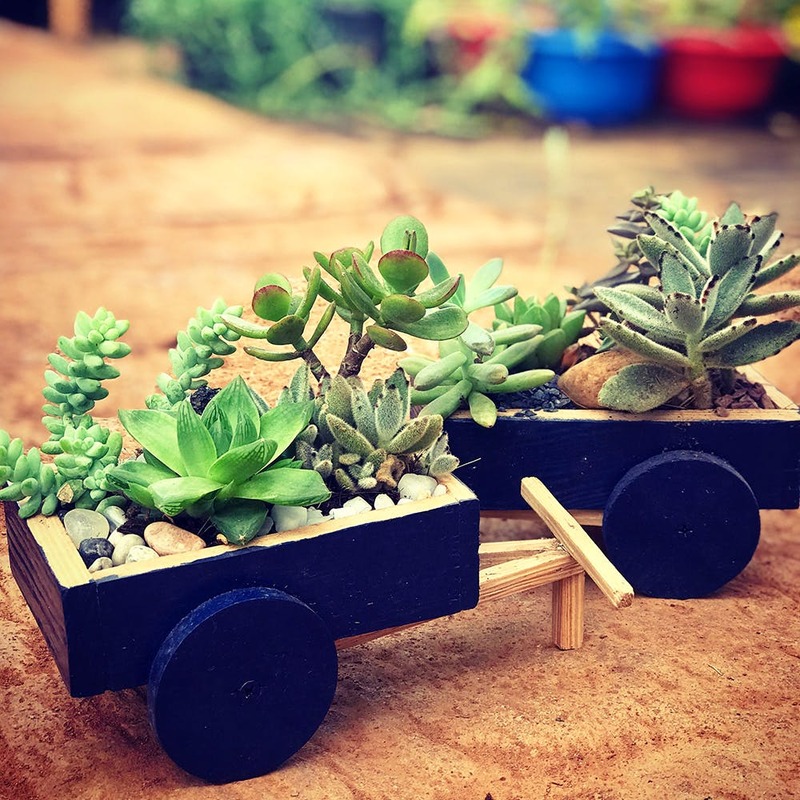 Working out of a workshop in Sadashivnagar, BGV does plant styling, theme based green decor for events (or your preferred space) and succulents and arrangements and a combination of them in a terrarium! Now we wouldn't recommend that you buy an individual succulent here, as you can get those babies anywhere; come here for the mini landscapes that look like fairy gardens or even deserts if you like. BGV also can help you out with your home garden designing with larger decorative plants. Once you're set up with your mini or life sized garden you're a client for life, as you can contact Ritu with all your enquiries related to caring and maintenance. Since everything is customised, the cost depends completely upon the project. She does have a few ready made pieces that you can check out on her social media, or visit Chairs and Co or Lattice Lane. For custom pieces and designs, you'll need to book an appointment for a consultation.